During the almost blizzard of 2015, Lauterborn Electric was called to the Fairmount area in Philadelphia for a couple of electrical issues. The remote controlled ceiling fan had stopped working and the track lighting in the kitchen was outdated and some of the heads had also stopped working. 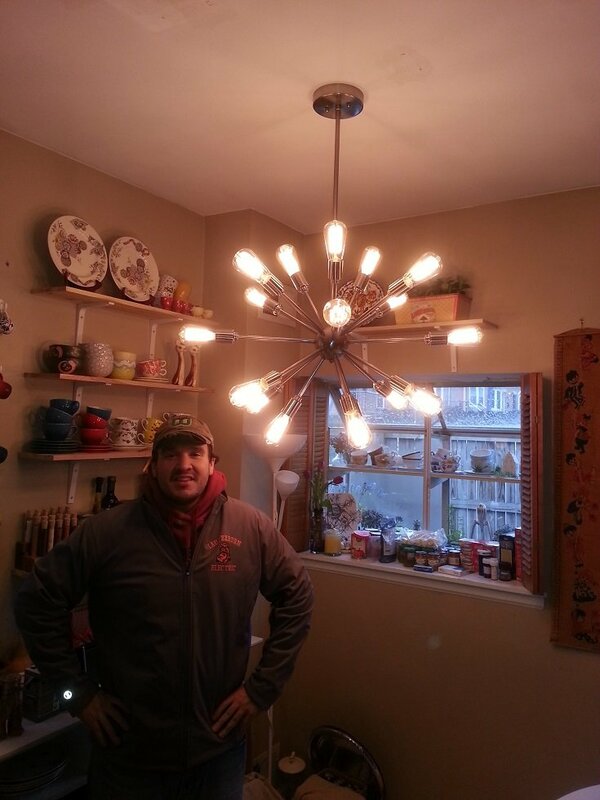 The customer wanted a newer modern fixture centered over their kitchen table. The problem with the fan was resolved by replacing the defective sensor with a new one. 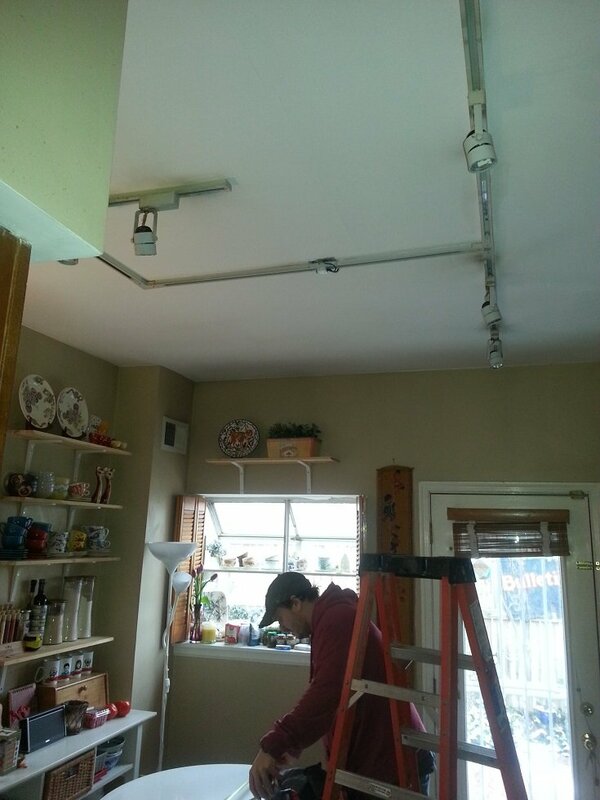 The images show the old track on the ceiling and the replacement fixture with one of our skilled electricians Ryan Lauterborn doing the installation. For all your Electrical needs contact your Licensed Philadelphia Electrician Lauterborn Electric.